Voice of Hong Kong is founded on one belief, one hope. I believe in quality and independent journalism, diverse and pluralistic views in Hong Kong. I hope www. vohk.hk can serve as a valuable, non-partisan meeting place for minds and ideas. For it to survive, I need your support in funding its operation and contributing articles. Enquiries for sponsorship and support and submission of articles can be sent to vohk2015@gmail.com. 21 years on, the pre-1997 jitters about Hong Kong's future linger on. Below is the text of Chris Yeung’s Letter to Hong Kong broadcast on RTHK Radio 3 on November 25. It was addressed to his journalism students at Shue Yan University. Time flies! Our course on English editorial and commentary writing is nearing its end. I hope you will be able to get something from the course on ways to think and to write. One of the best ways to think through current events is to understand the past. And getting a grip on the present helps us make a better guess about the future. A spate of political controversies over Hong Kong’s “one country, two systems” unfolded in recent months shows doubts and anxieties in the past about the post-1997 political framework have run deep in both the local and international community. That was true before 1997. It still rings true in 2018. To allay those concerns, both the central government and Hong Kong leaders need action, not just words, frank dialogue and patient explanation to convince critics and convert doubters. Blunt rebuttal and flat denial loaded with bias and prejudices will be counterproductive. Last week, a US report compiled by a Congressional expert panel warned of Beijing’s “encroachment” on the city’s rule of law and freedom of expression. They cited cases including the denial of a work visa for Financial Times Asia news editor, Victor Mallet, by the Government. Mallet, in his capacity as First Vice President of the Foreign Correspondents’ Club, moderated a talk given by the pro-independence Hong Kong National Party founder Andy Chan Ho-tin in August. The visa refusal has been widely seen as a political retribution aimed to send a clear warning to Mallet and journalists not to cross the so-called “red line” laid down by President Xi Jinping during a visit in Hong Kong last year. The report urged the US government to rethink its policy of giving special trading status distinct from China, under which exports of high-tech products to the city are less restrictive. The report has come weeks after a meeting of a United Nations committee on human rights in Geneva. At a session on China and Hong Kong, an unprecedented number of Western governments have raised concerns and made recommendations on human rights situation in Hong Kong. Some government representatives have raised the Mallet case at the Geneva meeting. Chief Executive Carrie Lam has been dismissive over the concerns of journalists over the Mallet case, insisting it has nothing to do with freedom of expression and freedom of the press. A chorus of calls and a joint petition by FCC and local journalists groups to her for an explanation have been stonewalled. Confirmation that she has declined to attend FCC’s annual Diplomatic Cocktail reception is disturbing, though perhaps understandable. She was the guest of honour at last year’s reception. Her absence has given rise to speculation that it is another show of dismay at FCC’s decision to go ahead with the Andy Chan talk in defiance of a demand by the Foreign Ministry’s officials in Hong Kong for the event to be canceled. It is an opportunity lost for Mrs Lam to show the Government cares about what the international community thinks about Hong Kong – and want dialogue. Mrs Lam may genuinely believe that the Mallet case has nothing to do with press freedom and freedom of expression. But perception is reality in politics. That is true before 1997 – and after 1997. Back then, there was a blitz of publicity in Western media about the doom and gloom of Hong Kong after the change of sovereignty. Among those was a cover story of the US Fortune magazine with a famous headline, “The Death of Hong Kong.” Both the then British Hong Kong government and the Chinese government had taken a pragmatic approach. They doubled their efforts to explain the safeguards of the preservation of the city’s systems under the policy of “one country, two systems.” Their lobbying drive had helped maintain international confidence at the critical time of sovereignty changeover. This is simply because new challenges and problems, some of which could hardly be envisaged before 1997, have arisen when the untried policy of “one country, two systems’ faces the reality check since then. The co-location immigration arrangements of the Hong Kong-Guangdong high-speed rail link is a case in point. However practical and inevitable the co-location arrangement is, the idea of stationing mainland Chinese cadres to enforce mainland laws within the territory of Hong Kong has blurred the border line between the two places. Again, perception, to say the least. Those fears have been aggravated by the case of missing Causeway Bay booksellers. Amid growing anxiety about the increasingly blurred lines between the “two systems,” the intensified official talk of greater integration of Hong Kong with the mainland has also raised doubts about the uniqueness of the city under the nation’s macro development strategy. In view of the city’s physical constraints, it may make economic sense to integrate with the Guangdong Greater Bay region to enlarge the economic pie for a win-win situation. The adverse impacts on the identity and autonomy of Hong Kong, at least at the perception level, should not be under-estimated, nevertheless. Put together, controversies such as the Mallet case and co-location and profound changes in mainland-Hong Kong interaction have brought about cumulative effects on the view of people in and outside Hong Kong on “one country, two systems.” It boils down to a simple question: is Hong Kong still functioning as a unique city separate and different from the rest of China? Or is it now just another mainland city? Those were the questions raised before 1997 by pundits such as the Fortune magazine and last governor Chris Patten. True, we have not yet seen People’s Liberation Army troops strolling the streets as the Fortune magazine wrote. But the case of PLA uniformed solders doing post-typhoon clean-up work in a country park, which was not done upon government request, has caused a disquiet. As for Lord Patten, he has said in his last policy address his anxiety was that the city’s autonomy would not be usurped by Peking, but given away bit by bit by some people in Hong Kong. Some said he was probably right. Those pre-1997 jitters, among many others, have either proved to be correct or carried some truth in recent years. To make the Hong Kong story more complex, an increasingly powerful and assertive China have deepened the anxieties of people here and other parts of the world. Their views on China have also shaped their opinion on Hong Kong. 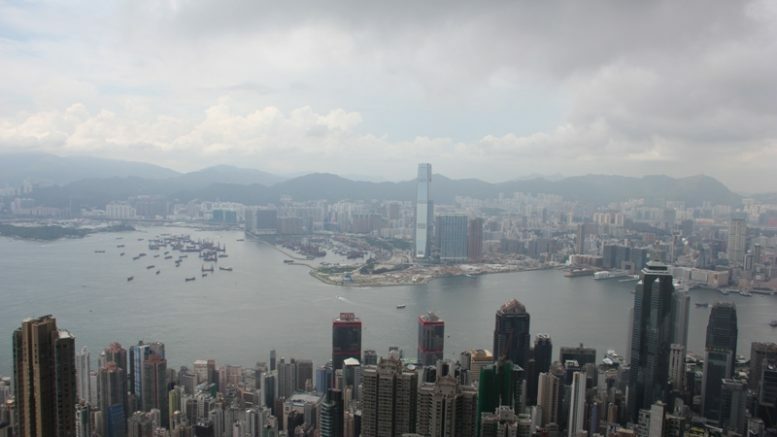 Flashed back to Hong Kong before 1997, the “one country, two systems” experiment had been given the benefit of doubt. Those benefits have been running out. The US congressional report and UN human rights hearing are among the signals of a change of perception on Hong Kong towards a more pessimistic view. It is a wake-up call for the Government to make renewed effort to convince the world Hong Kong is and will continue to be different from the mainland. Chris Yeung, Chief Writer of newly-launched CitizenNews, is founder and editor of the Voice of Hong Kong website. He is a veteran journalist formerly worked with the South China Morning Post and the Hong Kong Economic Journal. He writes on Greater China issues. Be the first to comment on "The pre-1997 jitters are back again"